separately. Please see accessories on page 225. 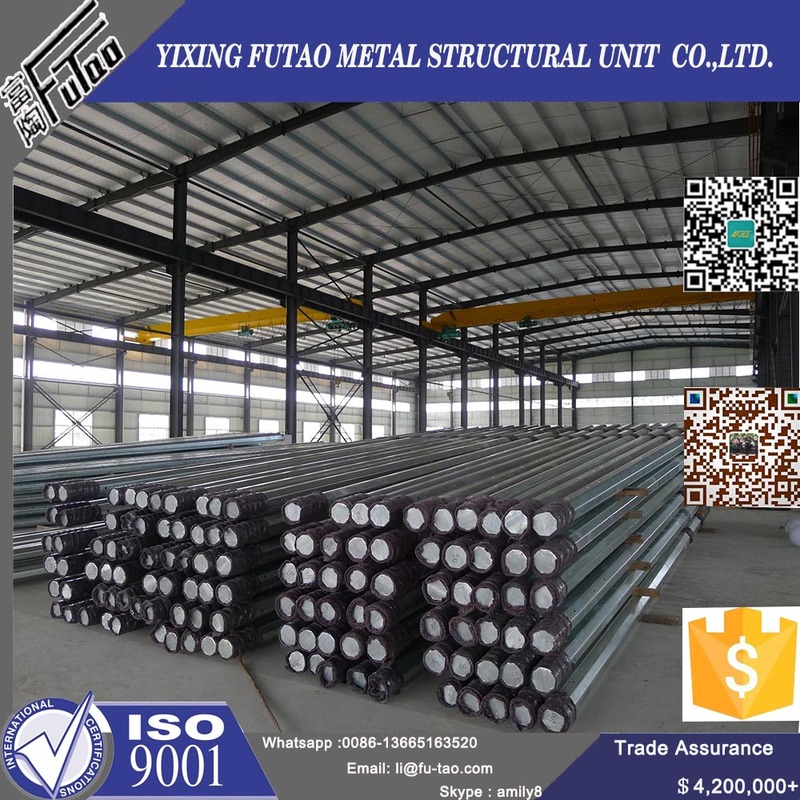 Yixing Futao Metal Structural Unit Co. Ltd is located in No.8 Nanxin East Road, Heqiao Town, Yixing City,Jiangsu Province.Equipped with a series of numerical control conveyor systems of flattening ,cutting folding and auto - welding ,we could manufacture high & medium mast lighting, road lighting power poles,sight lamps,coutyard lamps,lawn lamps,traffic signal poles, monitor poles,microwave communication poles etc.Moreover, Our manufacturing process has been ISO9001 certified.Therefore,we own a large-sizednumerical control hydraulic pressure floding machine with once folding length 13.000mm and the thickness 2-20mm. We have certificates for , SGS and ISO9001. 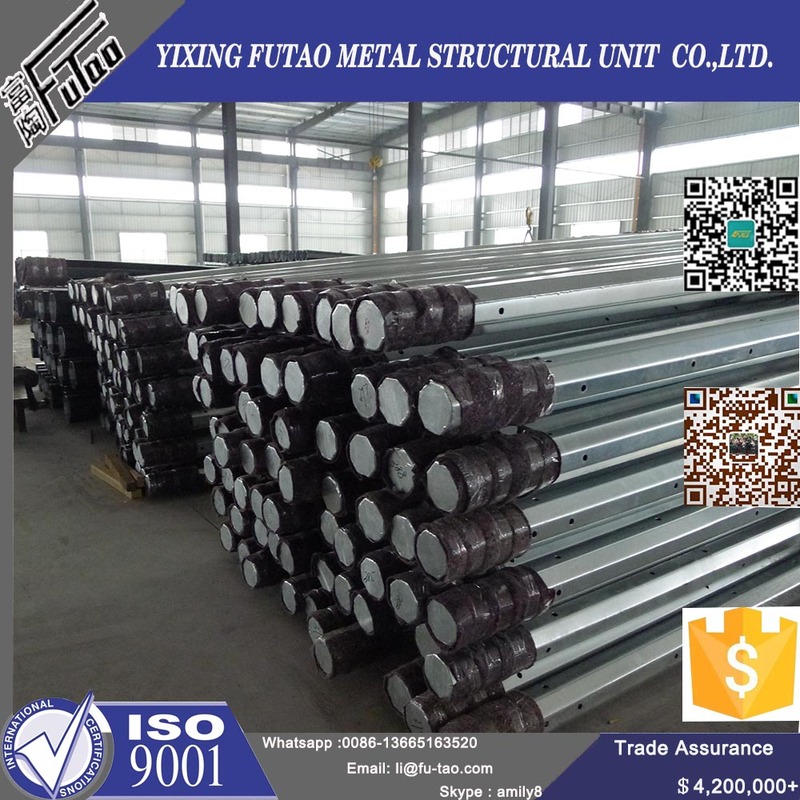 The price includes pole shaft, based plate, cross arm and anchor part.Shipping seaport: Shanghai Seaport. that we can calculate the local transport charge and sea freight. goods can be ready for shipment within 10 workdays after receiving deposit. 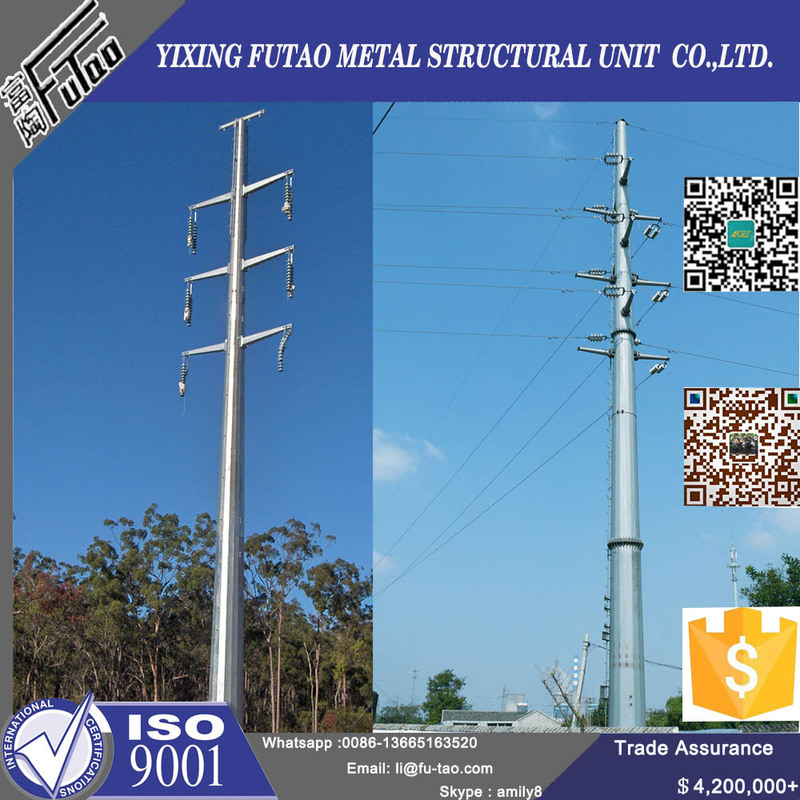 Looking for ideal Polygonal Power Poles Manufacturer & supplier ? We have a wide selection at great prices to help you get creative. 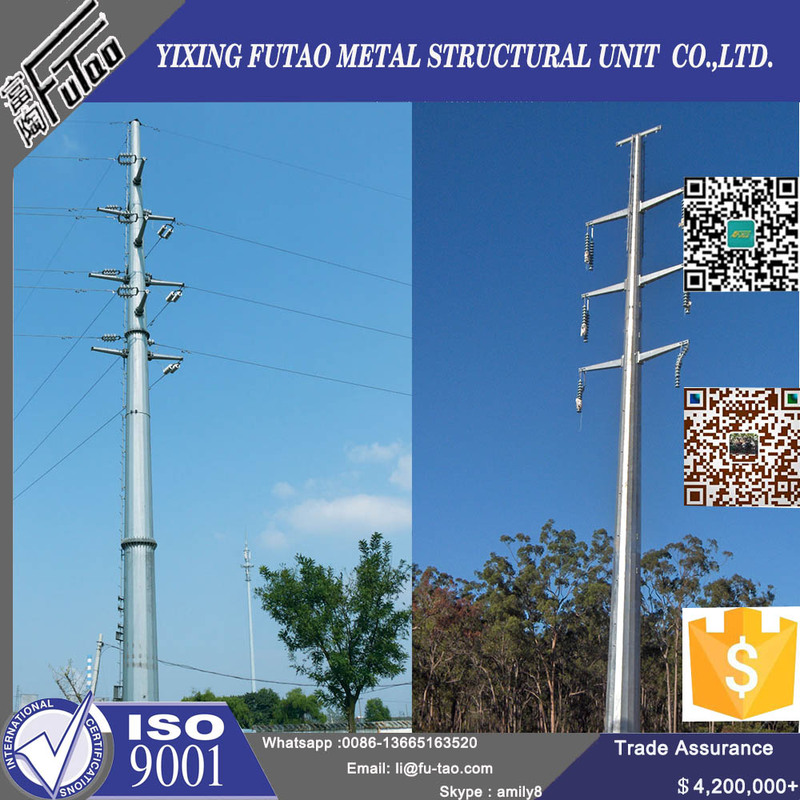 All the Galvanized Polygonal Power Poles are quality guaranteed. 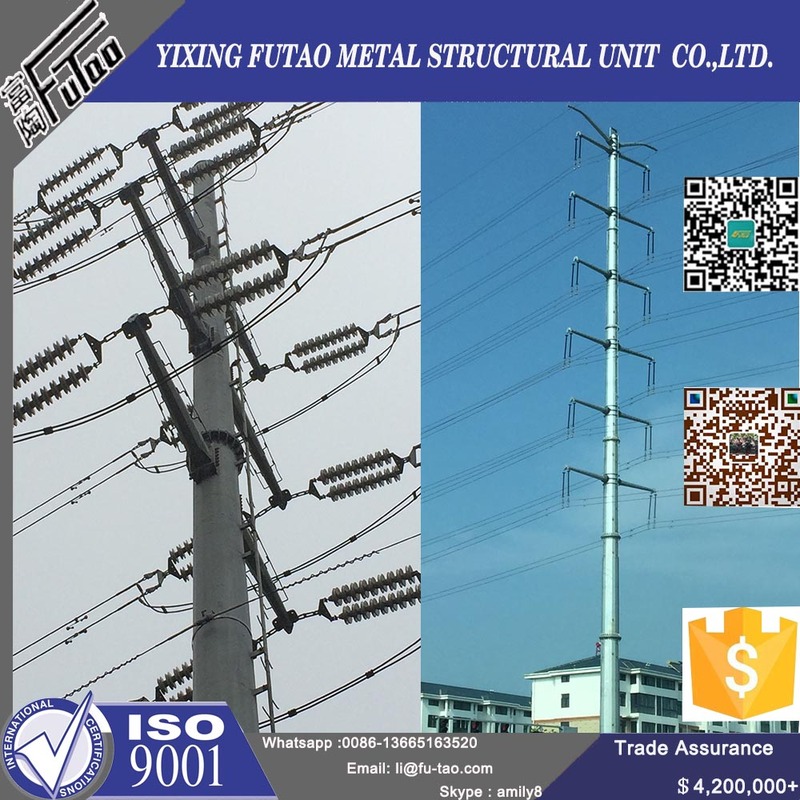 We are China Origin Factory of Quality Polygonal Power Poles. If you have any question, please feel free to contact us.